Master Class Summer Intensives is an musical theatre camp for energetic, creative teens. Although the program has been running for six years, the website needed to be brought into the 21st century! 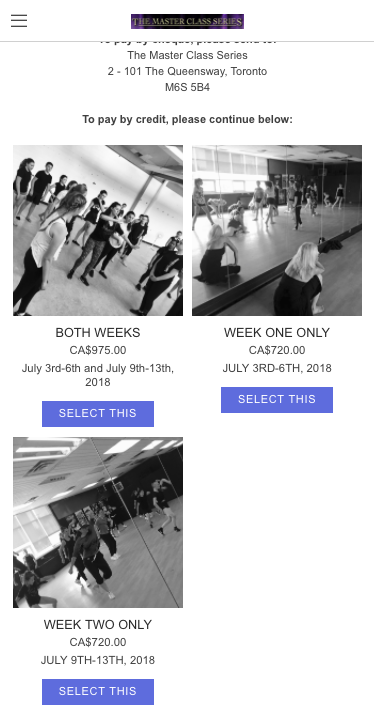 Paul Aikins is a teacher and musical theatre director at the renowned Etobicoke School of the Arts where he also runs a Master Class Summer Intensive camp for teens. His Master Class website is the portal for registration, information and details of the camp which he has been running for close to a decade. He approached me to revamp his website to give it a fresh look, an interesting appeal to both teens and their parents, and to highlight photos and videos to promote the business. The second step is the interview/meeting with the client which we did via Skype given the distance. Emphasis was put on the retention of the current logo and use of purple to facilitate brand continuity. Feedback from previous campers and parents highlighted the need to declutter the site from its excess of information, streamline the registration and payment process, and increase the visibility of the photo and video galleries. It was also decided that due to time and budget constraints the site would remain on the Weebly platform. Further probing of the existing site revealed that there were outdated links and the payment and registration process was quite confusing for a visitor. 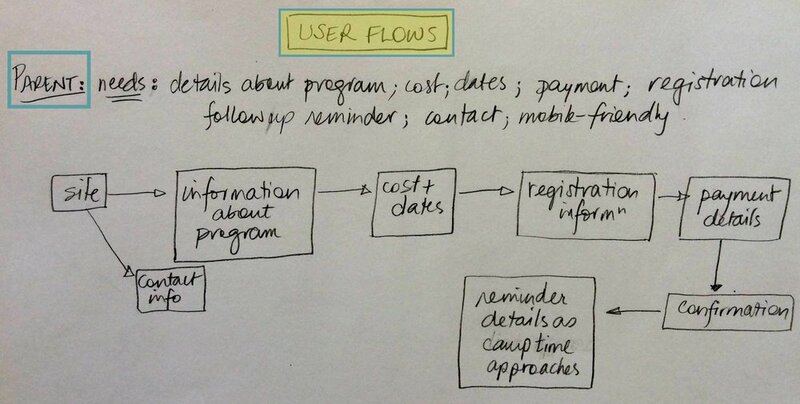 So the next step in the process was to re-evaluate what needs the parents and the teens have and create user-flows or journey maps for each to make sure the information is clear and upfront, the call-to-action visible and highlighted, and registration/payment process efficient and easy-to-navigate. Below are some of the issues we tackled related to the homepage and information page of the developing site, with the resulting looks on desktop and mobile. Once the main structure and flow of the site were established, all the images, videos and testimonials were gathered and updated, as were the camp details and costs. 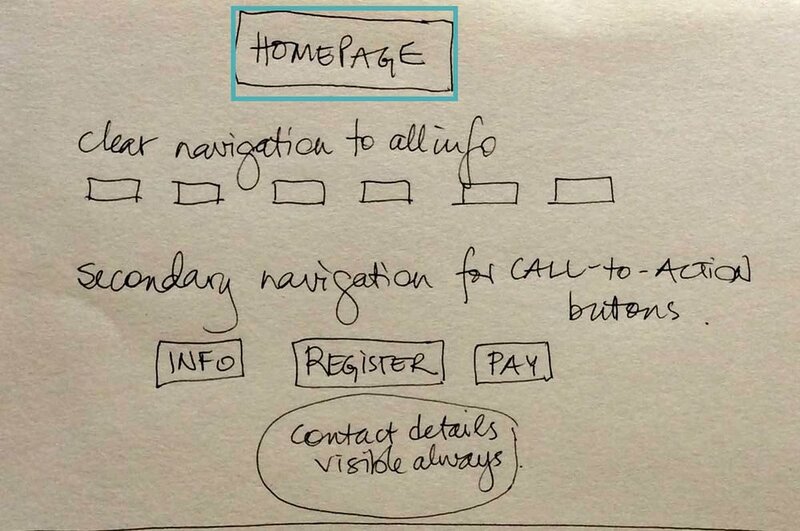 The next step in the process was the design of the site. We were looking for a clean, minimal look that would please both youth and their parents, enhance the established branding and be easy to navigate both online and on mobile (below). A refreshed branded site that is organized, easy to navigate, highlighting past camps and current details with clear Calls-to-Action. It offers a more professional updated look which is at once practical and efficient for parents while being enticing to future teen campers.